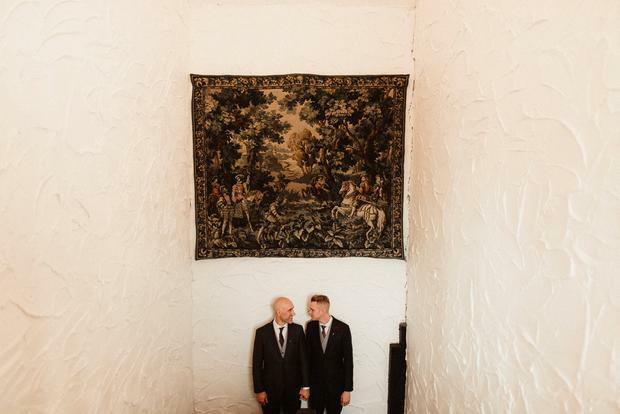 As many modern romances now begin, Drew Nelson and Terry Kowalicki found each other online. Six years later, Terry popped the question in Central Park during a romantic trip to New York. Terry is from Wisconsin, a state with a coastline on two Great Lakes in North Central US, and Drew is from Missouri in the Midwest - both fine spots for a beautiful big day, however instead of throwing a big wedding in the states the couple decided on an intimate destination wedding, right here in Ireland. 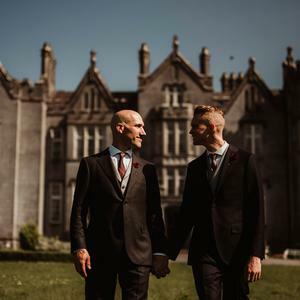 They were joined at the historic Kinnitty Castle by seven of their closest friends and, after arriving at the venue and seeing the beautiful gardens and weather (they tied the knot in late May this year! ), decided to hold their ceremony outdoors. 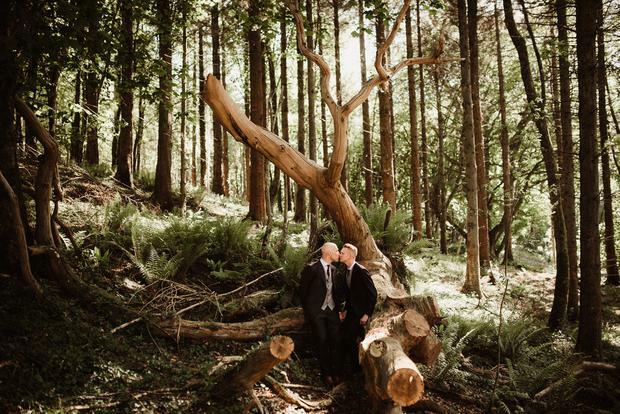 Their photographer on the day was the talented Tomasz Kornas, whose artistic documentary shots perfectly captured the emotional ceremony, as well as some incredible images of the couple in the atmospheric forests and castle at Kinnitty. 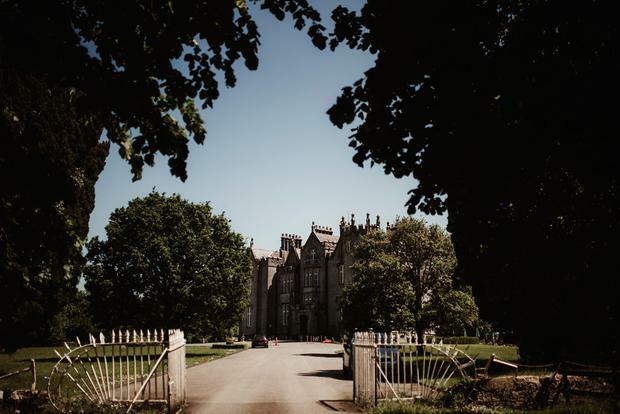 The couple tied the knot in Kinnitty Castle, Offaly, which they found with the help of their travel agent back in Missouri. 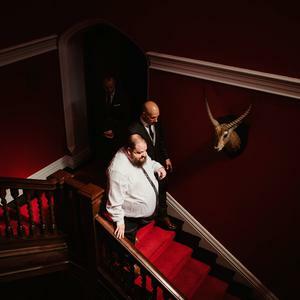 "We fell in love with the castle because it still has so much historic charm that is sometimes lost in massive remodels of other venues," says Drew. Anticipating that they wouldn't take long getting ready on the morning of their wedding, the couple decided to go clay pigeon shooting with friends before they suited up for the ceremony. 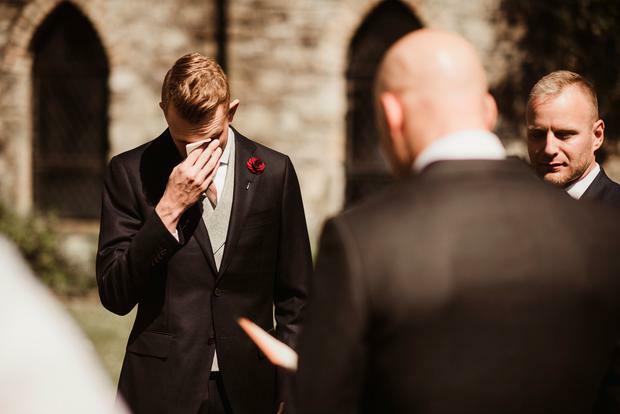 "It was a great way to get rid of some nerves instead of waiting around all morning for the ceremony," says Drew. 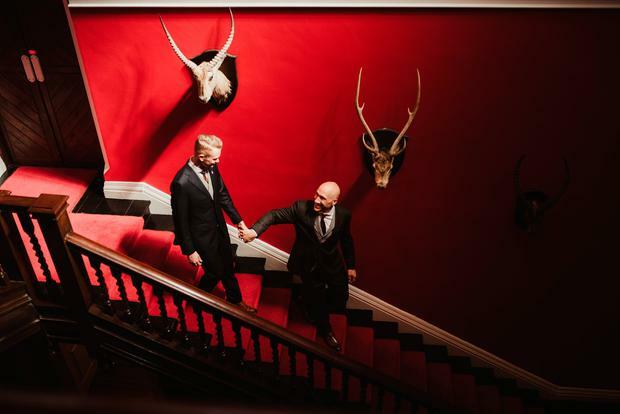 Terry and Drew both wore custom suits from pioneering European menswear brand SuitSupply (www.suitsupply.com). 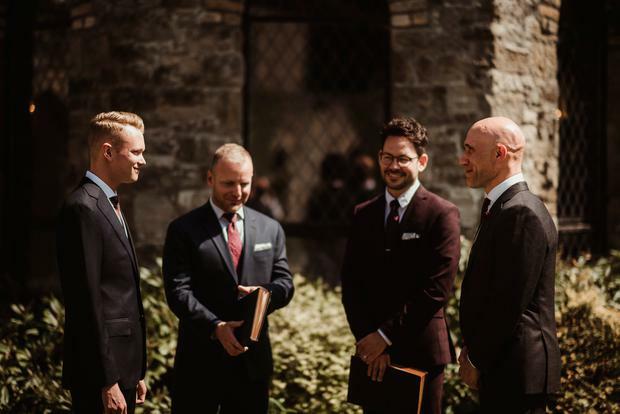 "We found it challenging with not wanting to match suits but then also not clashing," says Drew. 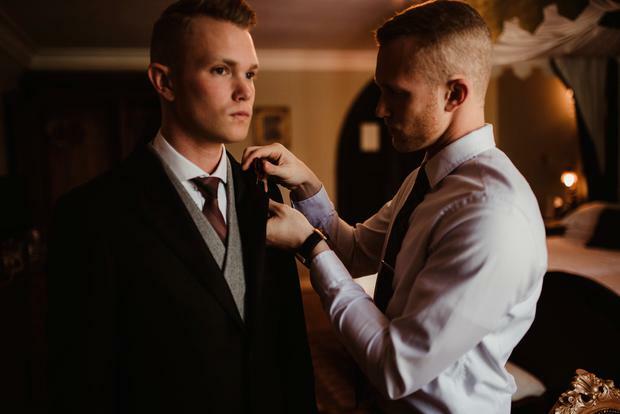 "I think we found a happy medium with varying the color or suit, but then matching the vest fabric and same color neck tie." 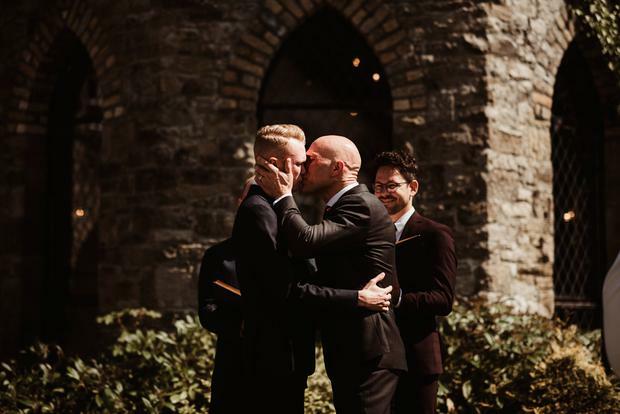 Having done the legal paperwork in the US, they opted for a civil ceremony in Ireland, which was celebrated by their friends Dr. Luke Fink and Adam Barnes. 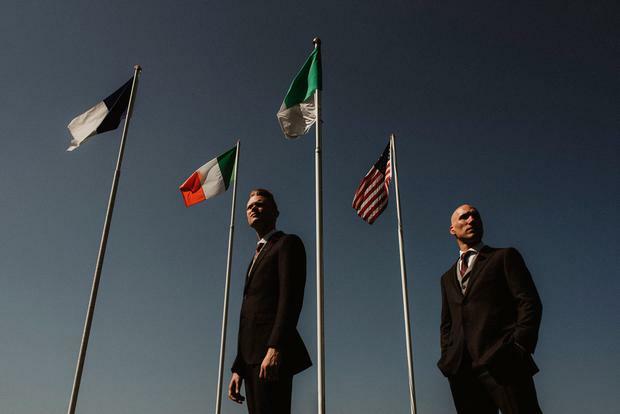 It wasn't always the plan to hold the ceremony outside - in fact as they'd never been to the venue before they weren't completely sure where to have the ceremony before they arrived. 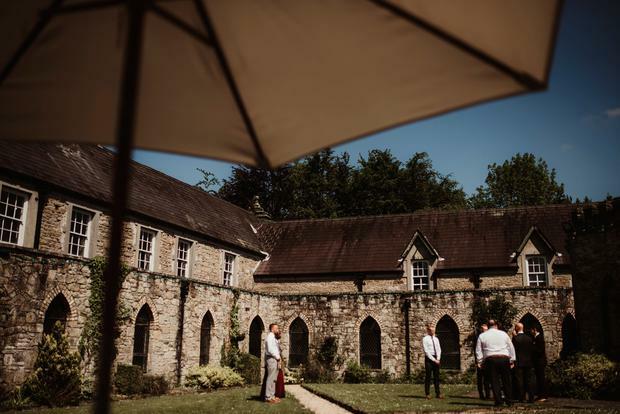 However once the caught a glimpse of the sunny sky they decided that the courtyard in Kinnitty would make a beautiful backdrop to their intimate wedding. 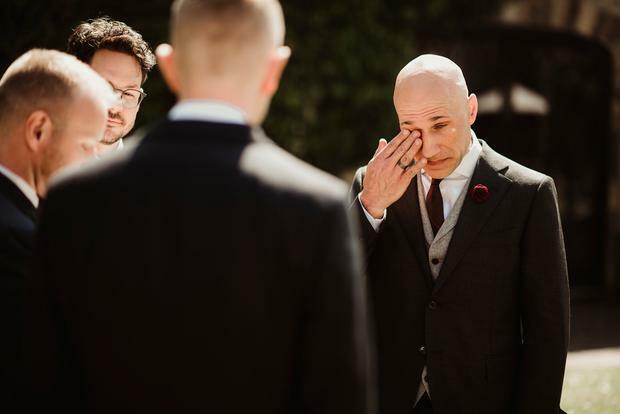 "The entire day was magical," says Drew, however it was the ceremony that was the most special for the couple. 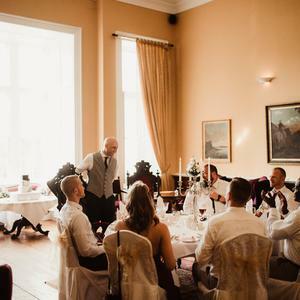 For the reception, they had a five course meal after which the couple and guests headed to the Dungeon Bar at Kinnitty where they enjoyed the rest of the evening with live Irish music and drinks. 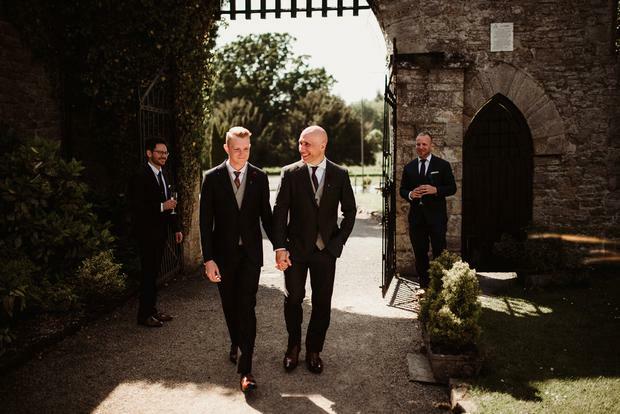 The couple spent several days in Ireland after their wedding, visiting the Cliffs of Moher, Ennis in Clare and finally Dublin where they visited the Book of Kells and did a tour of Guinness and Jameson. "Don’t stress over the little things," says Drew. 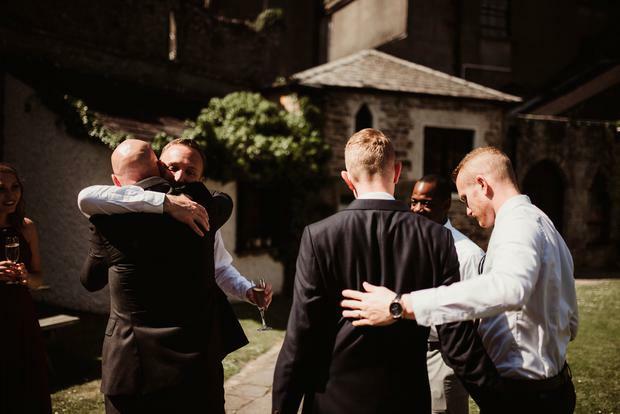 "Keep the focus on the ceremony as that is the most important time of the day. 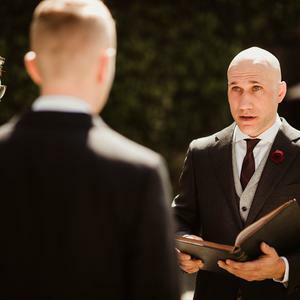 I also found that writing our own wedding vows made the ceremony very personal and special."